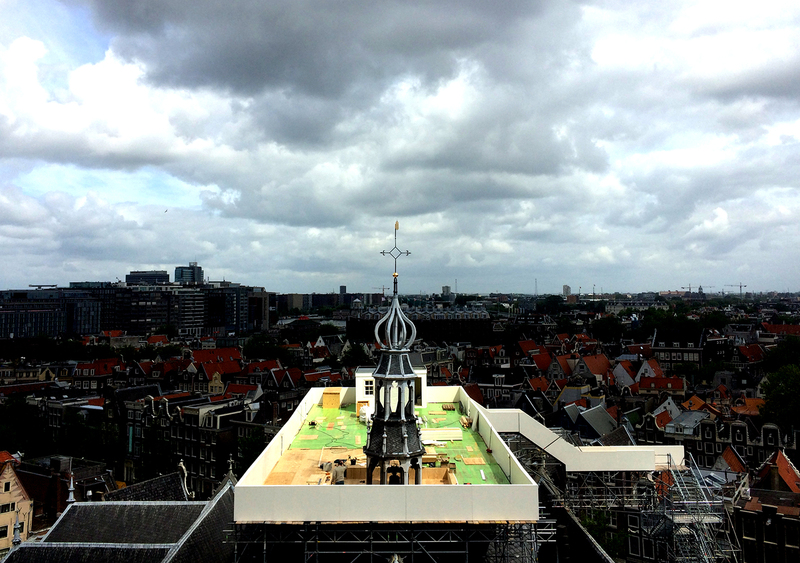 From 26 June to 6 September, commissioned by the Oude Kerk, Japanese artist Taturo Atzu (formerly known as Tatzu Nishi) will be presenting a temporary platform on the roof of Amsterdam’s oldest building. He offers visitors a unique vista of the red light district while simultaneously giving access to an architectural domain normally hidden from public view. For ten weeks The Garden Which is the Nearest to God – a summery panorama terrace – transforms the roof of the Oude Kerk into an exhilarating attraction; its unorthodox function offering us new sights and insights. Troughout the summer Non-fiction will be curating a public programme, based on Atzu’s installation.